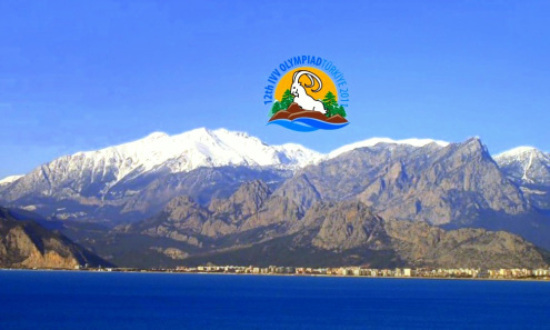 This year the 12th IVV Olympiad will be held in Antalya- Turkey from October 19 till October 23. We are very excited for the IVV Olympiad to be held in 2011 in Turkey and waiting to host all of you in Antalya with great enthusiasm. 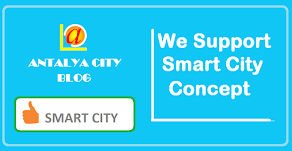 We all know that you are wishing to make your bookings as soon as possible. We are very pleased to announce that our IVV Turkey program, registration and hotel booking form are available on our web site. Please check the web site for up-dates and new information. Selected hotels for IVV Olympiad are the best available and closest hotels to the Olympiad villages, planned routes and the venues where social activities will take place. We recommend you to consider these hotels primarily for your comfort and easy transportation. Bookings are taken on a "First come, first served" basis. As it is high season in Antalya, it is recommended to make your bookings earlier. The official organizing agency of IVV Turkey Olympiad is Alabanda Co. Inc. It is recommended to contact Alabanda (info@ivvturkey.org) for any needs such as hotels, excursions, restaurants, shopping, etc. Special discounts will be applied for the attendees of IVV Turkey at selected venues during the 2011 Olympiad. Alabanda has made special fare agreements with the major airline companies, you can benefit from these low rates if you book your flights through Alabanda. As Turkey is offering a rich variety of fascinating touristic spots you should consider pre & post tours that Alabanda has prepared for you. Antalya, the Turkish Riviera is the most stunning part of Turkey's Mediterranean coast. It is typical of Turkey, a thriving modern city, with a historic heart in the centre of Kaleiçi within the old city walls. This area has seen something of a renaissance in recent years, with many of the wooden Ottoman mansions being restored and turned into boutique hotels. No cars are allowed in the narrow streets of the old town so it is a good place to soak up the atmosphere around the charming harbor. The symbol of Antalya is the fluted minaret or Yivli Minare built by the Seljuks in the 13th century. There are plenty of interesting pieces in the Archaeological Museum, from the Paleolithic Age right through to Ottoman times. Antalya has a backdrop of stunning mountain scenery, and the city is set high on cliffs, with many of its grandest hotels overlooking the sea on the outskirts of the town. The beach area of Lara, approximately 12 km to the east is home to the best beach in the area, known for its golden sand, which is rapidly becoming a resort in its own right. To the west, the long pebble beach of Konyaaltı is also popular. Heading up into the mountains, you can make the most of the beautiful scenery by visiting the spectacular Düden or Kurşunlu waterfalls. At Saklıkent, just 50 km away from the city centre, you can even ski, where they usually have snow on the slopes until early April.The Altın Portakal (Golden Orange) film festival is held annually in the autumn. Antalya has a large number of 5 star hotels, many of which have meetings facilities, and this, together with the Pyramid Congress Centre which can hold up to 3000 delegates make it a popular venue for conferences. There are many holiday resorts like Alanya, Belek, Kalkan, Kaş, Kekova, Kemer, Olympos, Patara, Side within the borders of Antalya region. In May you can swim in the morning, ski in the afternoon at Saklıkent and at night you can visit the observatory and enjoy the sky at the top of the mountain (2500m) in Antalya. Antalya attracts millions of people with its natural beauties and historical richness. Like many other Turkish cities, the city dates back to Ionian, Karian, Lycian and Roman times and there are many sites to prove it. The castle, the Ottoman citadel, is the nicest part of town with narrow alleys, old wooden houses, stone archways, and private gardens… The old harbor is now a marina with modern yachts and it is very nice to spend an evening outside, having a meal or a drink next to the sea. It is also a place where open air events and concerts are held during the summer months. The Taurus Mountains are more than 1500m high sub parallel to the narrow shore line at West of Antalya. The east of Antalya has the best beaches and a very wide shore line. There are many excellent daytrips to be made in and around Antalya. The ancient sites of Aspendos, Perge, Phaselis, Manavgat, Side and Termessos are all within a distance of 50 kilometers. Aspendos Amphitheater is the largest and best preserved of its kind. Every summer music festivals are being hold at the theater. Myra (Demre), which was one of the most important cities among the other six Lycian cities, is situated 25 km. from Finike. It was settled in the 5th century B.C. The rock tombs, the theatre and St. Nicholas Church have survived, which makes it worth visiting. St. Nicholas (variously known as St.Nicholas, Father Christmas, Santa Claus, Heilige Nikolaus and Pere Noel) was born in 245 A.D. in Patara near Fethiye and spent his life in Anatolia. Son of a wealthy family and of good education, he devoted himself to mankind. Because of the assistance he rendered to those around him, St. Nicholas was known as the protector of children and sailors, and to this day the legend of Father Christmas has continued to live as vividly as ever. As the Bishop of Demre, by his religious and social work, he solved the problems of the people in a humane way. After his death in 326 A.D. he was buried in Demre and a church was built there for his memory. In a number of countries the death of St. Nicholas is commemorated by special ceremonies and by giving presents to children, and in fact it is the significance of a new year. The Father Christmas Symposium is held in Antalya annually on 6th of December and is attended by religious and scientific people from all over the world. During these symposiums, in keeping with Anatolia's St. Nicholas' love for humanity, a call is made to the people of different religions and beliefs for peace, friendship and brotherhood. Make sure you visit caves, waterfalls, canyons, and the large variety of ruins of ancient towns in Antalya. Antalya has an easy access by every means of transportation! Various international airline companies have regular flights to Turkey and Antalya from the major capitals and cities of the world. @ Villas in Kalkan, Antalya is the one of the best holiday destinations in the world. You should discover Antalya..